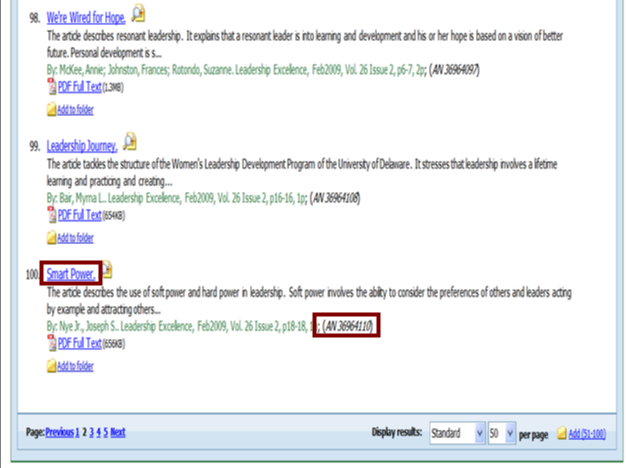 Customer is free to identify articles for their LMS needs. Customer would simply need to specify the article title and AN value. Once this information is collected for the desired articles, the customer would forward this information to their EBSCO account manager you will schedule the creation of the content packages. © 2019 EBSCO. All Rights Reserved.